← EX-NBA PLAYER JAVARIS CRITTENTON WANTED BY THE FBI FOR MURDER! It’s nothing like being a parent and witnessing your child blossom right in front of your eyes. That was the case last night (Aug. 28th) at the VMA’s. 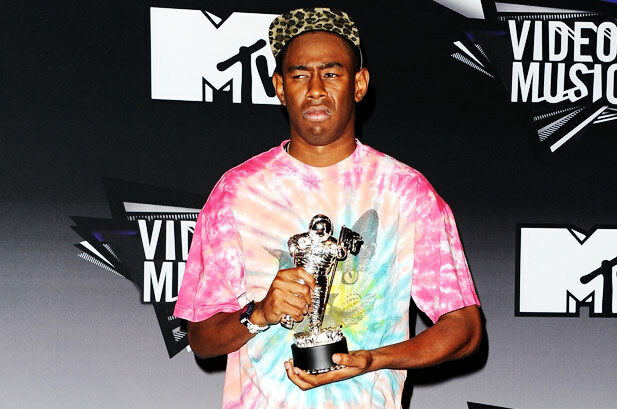 After Tyler, The Creator won the award for Best New Artist, his God-fearing mother jump into the aisles and got her Shirley Ceasar praise break on! Pop the hood for the footage. Don’t worry about those haters; get your praise on momma! This entry was posted in SAY WHAAT! and tagged TYLER THE CREATOR. Bookmark the permalink.